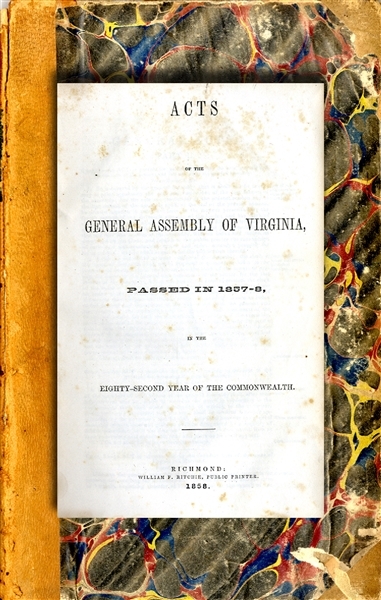 Book “Acts of the General Assembly of Virginia, Passed in 1857-8, in the Eighty-Second Year of the Commonwealth.” Richmond, 1858, 324pp. quarto. Includes an act passed in 1858 which prevented free Negroes from acquiring slaves. Much more. Fine condition.